Don’t neglect your inventory count! 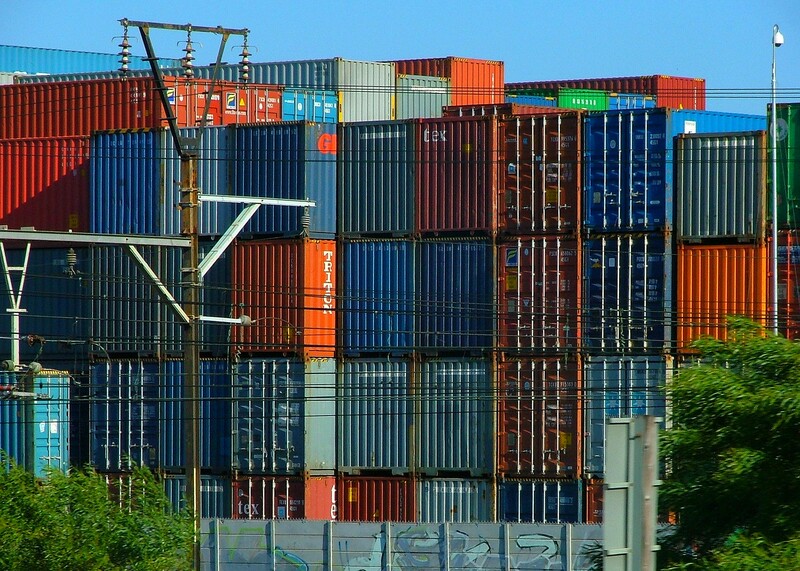 This article talks about the seasonal business of inventory counting from a Polish perspective. It is also broadly true, with variations in the details, for most countries in the region. It’s that time of the year again. Already some businesses with financial years corresponding to the calendar year (which is still the vast majority of businesses in this country) will count their inventories at the end of November just to avoid interrupting their employees Christmas breaks, some however will be pulling in the warehouse staff and others around Christmas and New Year to do their yearly duty. Some businesses, even with material amounts of stocks, will however not be stock-taking at all, as they believe that they can take advantage of article 26 paragraph 3 point 2 of the Ustawa o Rachunkowosci and only perform this task every two years, and among those who will be doing it this year, a surprising number will not be taking it too seriously. The point of this article is to remind you that the stocktake is one of the most important things that need to be done in order to be sure that the annual report is right, and to urge Quoracy.com readers to think again and invest some time and energy into this process if it has not been given adequate attention in your Company in the past. For many businesses – at least half of the manufacturing ones and also a number of service enterprise performing long-term contract work-in-progress, the figure for stock is the largest asset and the largest item on the balance sheet. It is also one of the more complex to account for, as unlike the monetary items such as debtors and cash, which are simply denominated in value, you need to keep volume and value information and to that end most businesses with sizeable stocks run special warehouse programs to keep track of stocks and manage such matters as goods received notes and goods issued notes, reordering, and these systems often interface with the main accounting system showing the amount of stocks purchased against creditors for the given period and sold against debtors also. For stock accounting an evidential or standard cost is often used, enabling the system to concentrate on the issue of volumes, and a system for allocation of deviations between actual cost and the standard costs. In my experience the area is found difficult to get right by businesses, and where issues do occur in audits or errors appear which are of a size that could entirely upset the usefulness of the financial statement, more often than not it is precisely in the area of stocks, and a properly conducted stock-take could have helped avoid the problem. In many cases, years of sloppy stocktakes failed to spot a problem until it became critical. International Accounting Standards, in particular IAS 2 “Inventories” talk in detail about the principals for the value to be shown for each individual item of stock, but there is no help in IAS for the question of how often and in what way to go about establishing the volume of the stock items actually present. There is no mention of inventory counting or stocktake methodology or frequenct, and there is not even a definition given for these in the glossary to IFRS. This is extremely disappointing, given the importance and centrality of this item for so many businesses, and one is driven to wonder about the practicality of IFRS when one sees a regular “taniec godowy” being made in IFRS about the question of derivatives (instrumenty pochodne) which effects only a minority of businesses and is non-routine in nature for many of them, and then total silence on a matter which actually creates more practical hicoughs in accountancy for more businesses than most others do. So we are thrown back on national law for any kind of realistic guidance in the matter – the requirements of Polish law for businesses accounting under the “Ustawa o Rachunkowosci”. There have been queries coming across my desk from businesses which are accounting under IFRS asking what they should do when they are “not under the UoR, but the IFRS are silent in the matter” – it seems to me that they must also abide by the tenets of Polish law in matters not regulated in IFRS, but is the Polish law actually strict enough? As you can see from the text of the Ustawa, almost all classes of asset must be counted from life (spisem z natury) on the last day of each accounting year. That’s the basic rule from 26.1 and 26.2. And a very fine rule it is. But then we come on the 3rd paragraph, which is where certain relaxations from the main rule are allowed, and we see that on the basis of these rules people are performing stock-takes of very material amounts of inventory where there are systems that do historically allow in errors and where there is rapid movement of stocks, anywhere between 3 months before and 15 days after their financial year end, and also these cases where whole years are skipped (which is only supposed to happen where warehouses are properly guarded and there is a proper stock system, but people take a very subjective interpretation of what that means). And this is where the law as it stands is rather deficient, and we have to rely on the good practice of well trained business managers, such as the people reading this magazine, to make sure they do the right thing anyway. 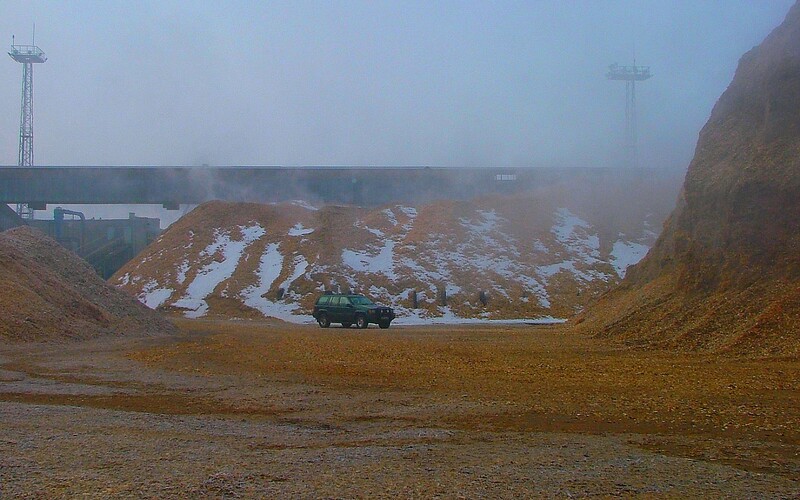 Sometimes stocktaking pourable solids (materialy sypkie) is a bit like counting sand in the Sahara Desert and looks that way too, although I assure you this is woodchips in West Poland. This looks like a good time to get stock-take help from the “geodeta”! Consider your stocks held at other locations and stocks at your location that belong to third parties.Certificates may be requested/issued for these items. Ensure BHP training for each participant, especially those not normally working in the warehouse, and proper protective clothing on the day if needed. Ensure that there is an adequate number of teams to do the job in the available time – which ought to be the time over which the business can afford to avoid moving the stock around. Where stocks must be moved during the count, it is necessary to devise some marking system so that all items are counted, and once only. Ensure that the wareouse people who are responsible are all there, and that they are teamed up with people independent, such as bookeepers or other administrative people. Some stocks are difficult to access – make sure lifting equipment is on hand at the stock take! Take advantage of sensible techniques, such as digital photography, weighing homogenous stocks and the use of dipsticks for liquid tanks. Do try to arrange a stock-take at the time when the company’s stocks are at their annual low. The counting then is at its most accurate, and it is worth doing even if it is not the main stock count of the year. This is the probable origin of why the inwentaryzacja is sometimes known in informal language in Polish as the “remanent” – it refers to checking the ‘remnant’, the small amount left over at the end of a season. Don’t cut corners – especially if the stock is risky stock as identified in the first list above. All year round you are paying good money to the accounts department to get a good set of financial statements, but if you don’t get this bit right, what chance do they have? Ignore likely weather or lighting conditions in planning. Last year alone I had to abort one count because it was planned after sundown in a poorly lit location and in another case the outside guages were frozen over so the apple juice concentrate involved would not flow over them. In another case it was hard to tell where the snow stopped and the coal started on one prism. 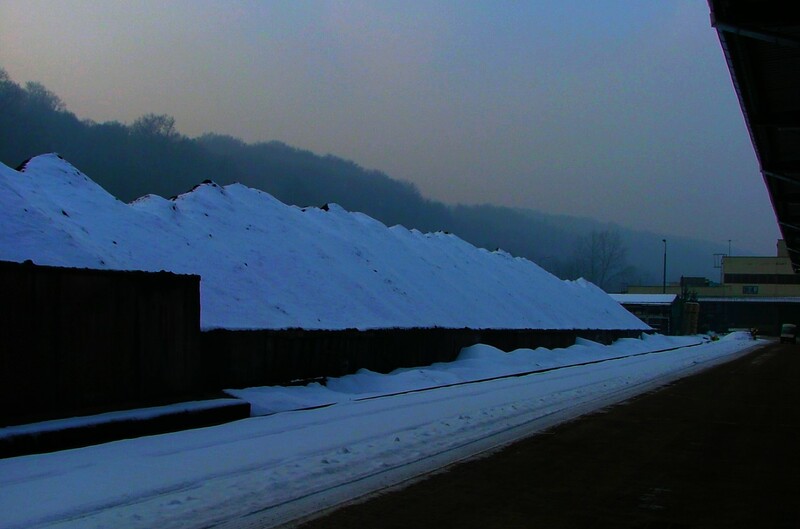 In this case it was hard to tell where the snow stopped and the coal started – a true case of “in-winter-yzacja”. Maybe not the best image for a Christmas card to a member of the stocktake team, despite the seasonal weather! Don’t try to measure a hałda or prism at a distance or use photography without a proper measurement. For complex shapes of materialy sypkie, don’t try to measure them unless you have specialist resources – get a surveyor in (geodeta). Don’t allow the people who are materially responsible for the stock to be responsible for the count of it, although they should be there at the time to answer questions. Don’t delay in turning the results of the count into an adjustment to the books. You also need to analyse the possible reasons behind any surprising divergences between expacted volumes and actual volumes. This is a cue to check controls, especially access controls to avoid theft and also the correct functioning of the guages and scales that measure the inflow and outflow of stock – have they been checked for accuracy and maintained properly by the producer? Don’t forget to reward the count people with some kind of special thank-you, especially if they have been pulled out of their homes at Christmas time. This job is worth doing well, so it’s worth motivating people to take it seriously. Let it become one of your Company’s traditions that people actually might even start to enjoy and look forward to! I would like to close this article with a story from my casebook about a company who had failed to get their stocktaking right – and this was a company in the heating sector which burned coal. They had had a problem with their weighing apparatus and for some time had been getting very good calorific results for each ton of coal they put into their furnaces, or so they thought. What had actually been happening was that they were reading 1 tonne of coal but putting in in fact 15% more. Of course they suddenly ran out of coal in the depths of winter when the system was telling them that they had enough to go easily to the end of the season. They then assumed that the coal had been stolen and asked me to do a forensic accounting exercise to discover what had happened. This analysis led to the broken rolling scale and the both good and bad news that no-one had in fact stolen their coal, they had simply been overusing it for the previous six months. This would have showed up on their stock take (and saved them a lot of money not least in not needing to employ a top consultant) had they used the correct manner of measuring the coal, and not relied on two inexperienced children fresh from university sent in by their auditor, one of the largest companies in the world, who later needed to withdraw their audit opinion and redraft it with the correct figures in. When I asked what procedures these kids had applied at the stocktake attendance, I was told that they had looked at the coal pile from the third floor (about 300 metres away) as it was rather cold that day and they were young ladies and didn’t want to go outside. Please take your stocktakes a bit more seriously than that! Some businesses holding large amounts of stock in their balance sheets are going to be audited and so they automatically will get an auditor to look (hopefully more closely than the above mentioned case) at their stock count, but even if your business is too small to fall under obligatory audit, but has relatively a large figure of stock or difficulties with control of stock, remember you can ask an auditor to make an audit style stock-take attendance without doing a full audit, and just report to you on the quality of the stocktake with recommendations for improvements. This shouldn’t cost more than a thousand Euro or two, and has a chance of giving you a good proportion of the value back that you would have had from a much more expensive full audit, if it’s a stock intensive business you are in. This comes under “agreed upon procedures” and auditors will be very pleased to help you with just what you need without making a full audit or review assignment out of it. Many people in business would find it useful, but just haven’t thought of asking an auditor in just for their view on the inventory count.